Home >> Providers >> Caroline Wolter, P.A.-C.
Caroline Wolter joined North Atlanta Primary Care in 2018 and is seeing patients at our Johns Creek location. Caroline is a Georgia native and was raised in Atlanta and Columbus. She graduated from Georgia Tech with a Bachelor of Science in Psychology with High Honors. 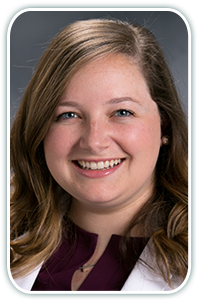 Caroline went on to complete her Master of Medical Science in Physician Assistant Studies at Mercer University. Specific areas of medical interest include pediatrics, women’s health, management of chronic conditions, and preventative medicine. In their free time, Caroline and her husband Will enjoy spending time with family and friends, playing with their two dogs, and cheering on the Georgia Tech Yellow Jackets!